As we discussed in our previous post on asbestos facts, asbestos was historically revered as a ‘magic mineral’, used in a multitude of commercial and industrial applications, from roofing to toothpaste! Today however, we recognise the dangers associated with its use, with at least 4,000 people dying each year from asbestos-related diseases resulting from workplace exposure. 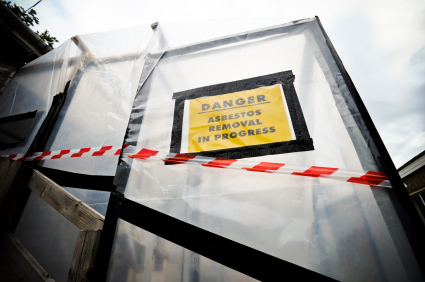 In this special report, a longer version of which appears in this month’s RoSPA OSH Journal, we look at the history of asbestos in more detail, and explore what can be done to tackle its deadly legacy. Asbestos is a general term that refers to a group of minerals made of long, crystalline fibres. These fibres are very strong and resistant to heat, electricity and chemicals and because of these properties asbestos was widely used in industries such as insulation, shipbuilding and railways, electricity generation and building and construction. The three main types of asbestos – crocidolite (blue asbestos), amosite (brown asbestos) and chrysotile (white asbestos) – are all hazardous, but blue and brown varieties are much more dangerous to health than the white (which was the most common type for industrial use). Amosite and crocidolite were banned in the 1980s, and no crocidolite was imported into the UK after 1970. But chrysotile was not banned until 1999. This means that asbestos is likely to be present in any building constructed or refurbished before the year 2000. The four main diseases associated with asbestos exposure are all connected with the lungs, namely asbestosis, lung cancer, mesothelioma (of which there are two types) and pleural plaques, in which the membrane that covers the lungs is damaged by asbestos but the lungs themselves are unharmed. Those who worked with asbestos during the latter half of the last century would have breathed in the fibres over a period of time. As a result many contracted the lung disease asbestosis, though since regulations to restrict exposure have been in place for more than 40 years, it is now a relatively rare condition. In sharp contrast to asbestosis, the number of cases of mesothelioma is increasing and is not expected to reach its peak until 2016. Mesothelioma is a cancer of the cells which make up the lining of the outer surface of organs including the lungs, heart and gut. Pleural mesothelioma – the most common type – develops in the tissue covering the lungs while peritoneal mesothelioma develops in the lining of the abdomen. 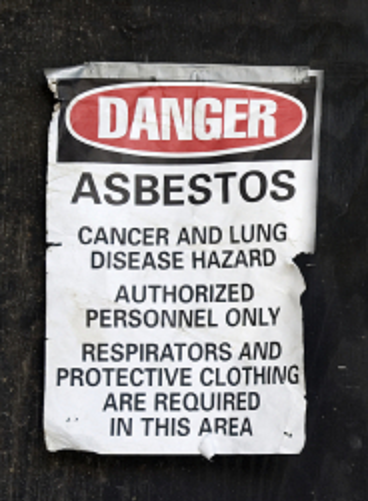 It is also the case that mesothelioma can be caused by workers being exposed to small amounts of asbestos fibre over a short period of time, for instance during poorly planned demolition work or maintenance work which requires drilling or cutting into areas where asbestos might be present. However, it may take well over 20 years for symptoms of mesothelioma to materialise. The outlook for mesothelioma sufferers is poor because it is usually diagnosed at an advanced stage. Sadly, most people diagnosed with it will die within three years of their diagnosis, and the average person survives for around 12 months. Every year in the UK, there are around 2,300 deaths from the condition. The Control of Asbestos Regulations 2012 requires employers to ensure that a risk assessment for the presence and condition of asbestos is undertaken. If existing asbestos containing materials are in good condition and are not likely to be damaged, they may be left in place. Their condition should be monitored and managed to ensure they are not disturbed. 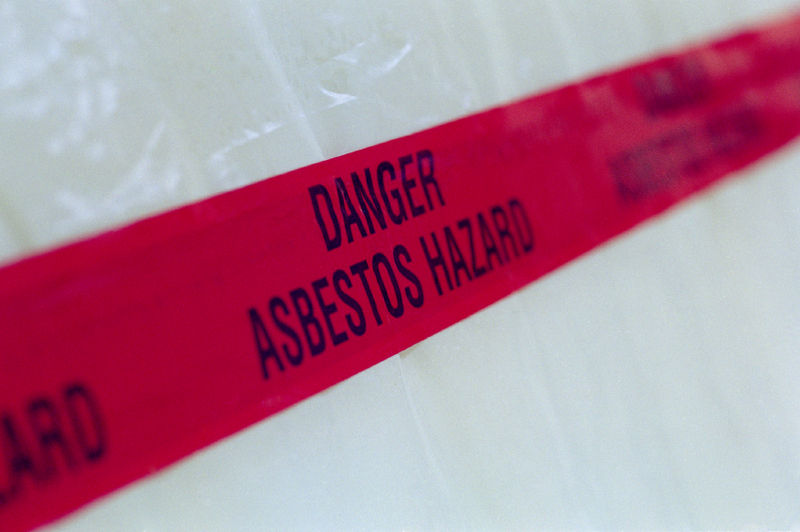 Training is mandatory for anyone liable to be exposed to asbestos fibres at work. This includes maintenance workers and others who may come into contact with or disturb asbestos (eg. cable installers), as well as those involved in asbestos removal work. Don’t work if the asbestos material present is a sprayed coating, board, or lagging on pipes and boilers. Only a licensed contractor should work on these. You can’t work with some kinds of asbestos because they’re too dangerous. Remember, if you are in any doubt about the presence of asbestos, stop what you are doing and contact a contractor. Asbestos is the single biggest cause of work-related deaths in the UK – don’t become another statistic. This is an abridged version of an article by Jacky Steemson, which originally appeared in RoSPA’s Occupational Safety & Health Journal. For more vital health and safety guides, facts and advice, sign up to SafetyMatters, RoSPA’s free fortnightly newsletter and receive our collection of free original e-books! That’s a great summary and reminds us that asbestos is still a ‘current’ issue.